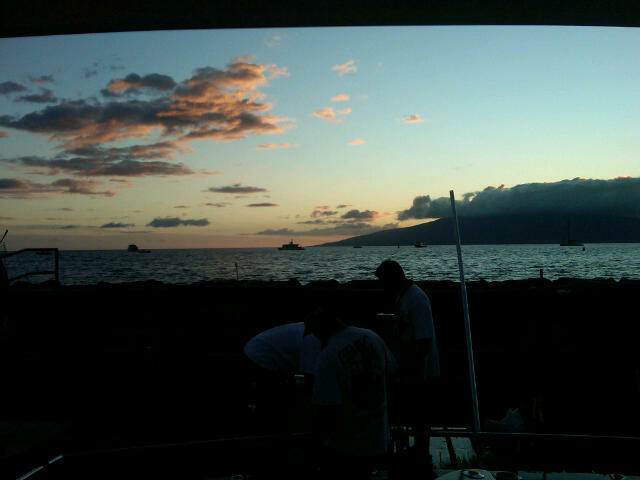 The view from Lahaina looking towards Lanai, the night before the Lahaina Jackpot. Good luck, Captain Mike and the rest of the Maggie Joe crew! Angler Shawn with Captain Mark and Mate Mikey! 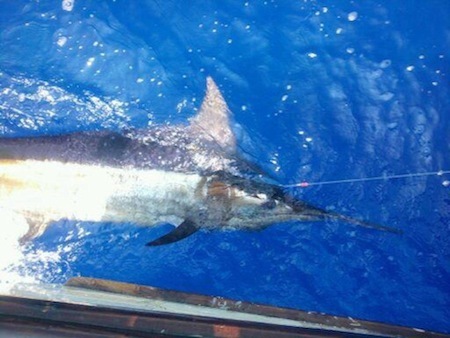 The big Blue Marlin have officially arrived! 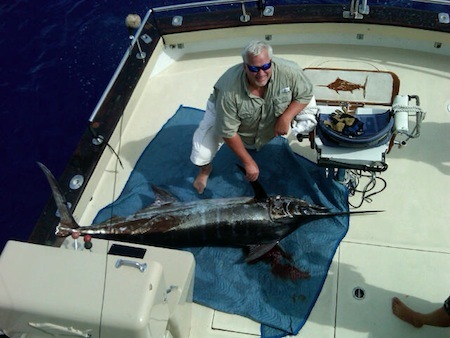 After last weeks 500 pounder, the Maggie Joe follows it up this week with a 462 lb Blue Marlin! 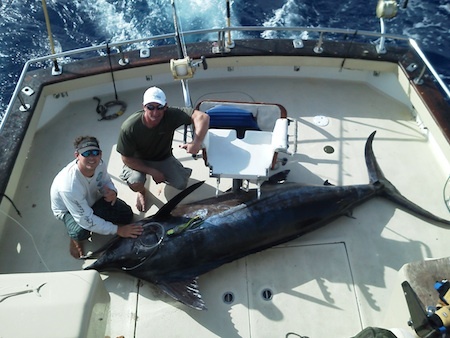 Angler Shawn hauled in this 462 lb Blue Marlin as well as the 125 lb Blue Marlin aboard the Maggie Joe on a full day sport fishing charter. 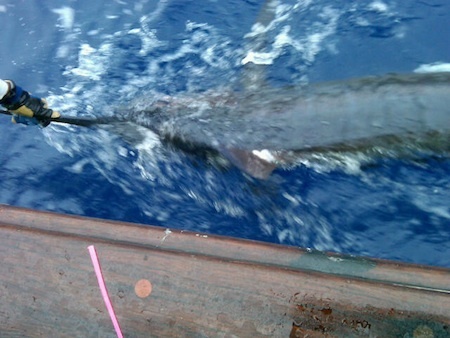 Captain Mark found the fish while deep sea fishing outside of Honolulu, Oahu! 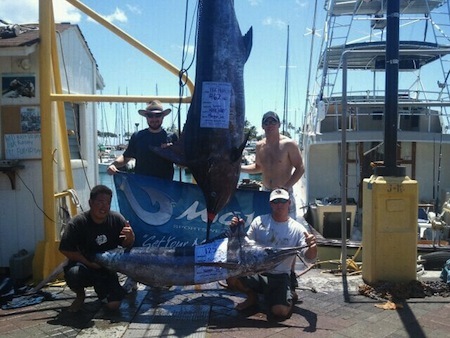 Great job and mahalo for choosing Maggie Joe Sport Fishing!